The two-millionth Skoda Octavia has emerged from production at a manufacturing site for the Czech firm. A silver Skoda Octavia Scout became the landmark vehicle, which was first made in 1996 and has stayed in demand since. Today, drivers can pick up the model in two iterations, the Octavia tour and a second-generation model which was released in 2004. Both come in Scout and vRS modes. Last year, the company commented that it delivered 72,529 Octavia Tours to motorists in addition to 237,422 of the new Octavia. The milestone follows the vehicle's success at the Geneva Motor Show last week. 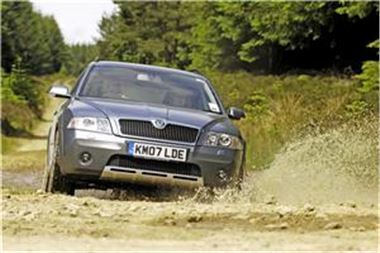 Skoda picked up the AM Used Car of the Year 2008 award for the model at a ceremony hosted at the exhibition, beating off BMW and Mazda to claim the prize. The Octavia is produced at sites around the world including China and India.